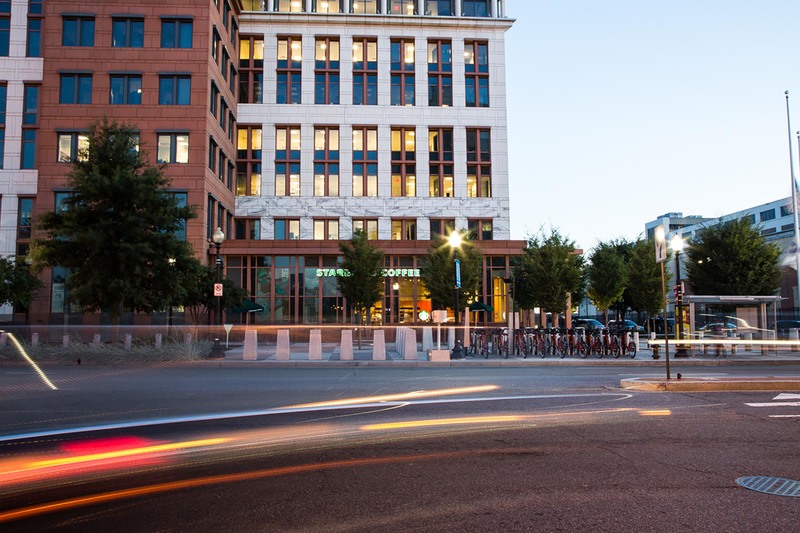 The Capitol Riverfront neighborhood has a handful of pizza restaurants to choose from, and quite frankly, you can’t go wrong with any of them. The newest pizza addition to the neighborhood, Wiseguy Pizza, happens to be our favorite. 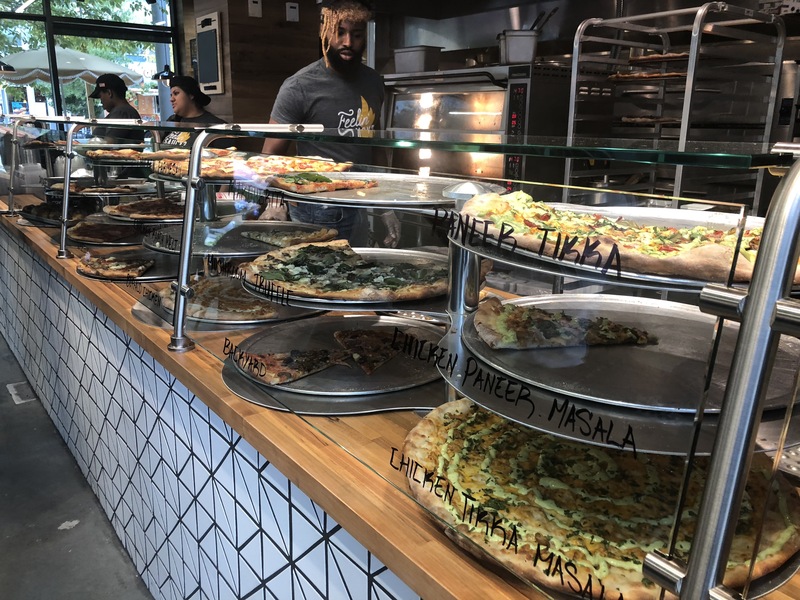 Located right in Canal Park, this New York inspired local pizza chain has become one of our go-to spots for a delicious slice of ‘za. 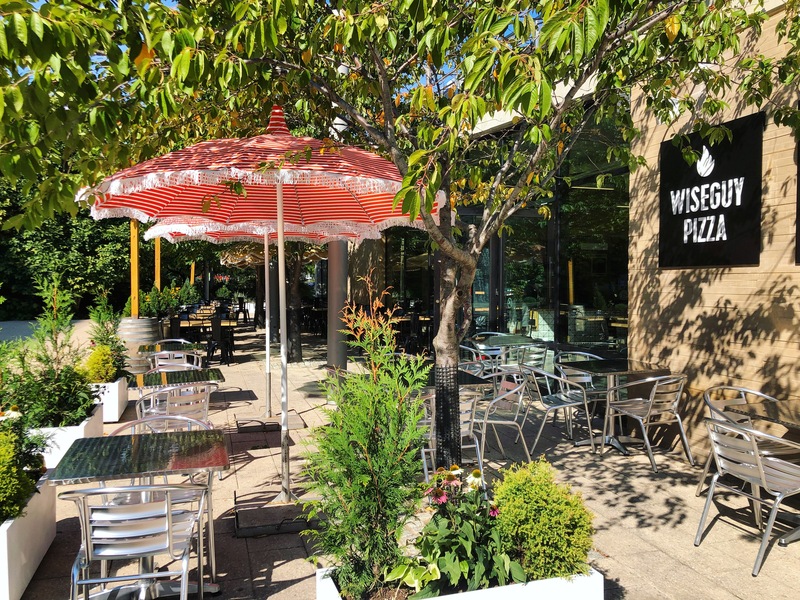 The restaurant itself is on the smaller side, but there is a beautiful patio with outdoor seating which is perfect during the nicer months. The interior of the restaurant is quite comfortable, with a modern and clean look to it. In the near future, Counter Culture Coffee will be open for business, sharing the space with Wiseguy Pizza. Counter Culture will serve coffee, pastries, and gelato. What more could you ask for in one spot? 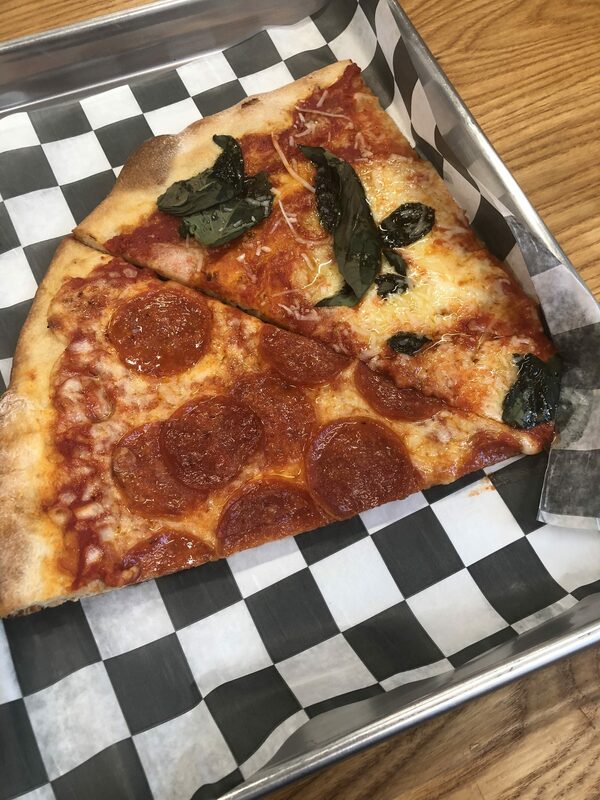 At Wiseguy, pizza is served by the slice, and you can expect that it will be big! Whole pizzas are available to order as well. Overall, Wiseguy has perfected New York style pizza, and we can’t get enough of it. They have your standard pepperoni, cheese, and veggie pizzas, as well as an assortment of specialty styles. So far, the pepperoni and their truffle mushroom slices have been my personal favorite. They use just the right amount of sauce and cheese, and the crust is the perfect amount of crispiness, without it being overwhelming. Overall, we are loving this new addition to the neighborhood. 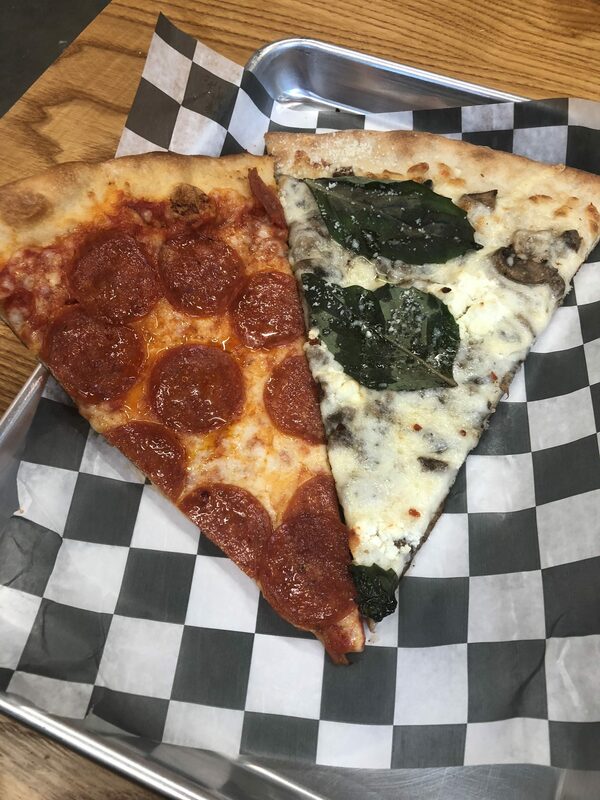 Whether you want to grab a quick and affordable lunch with co-workers or bring home a full pizza for dinner, Wiseguy Pizza is the perfect spot.